There’s big news in L.A. bike politics today. 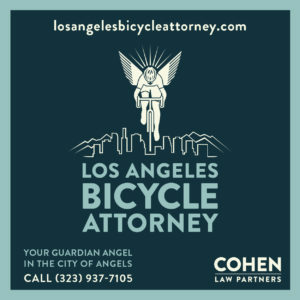 This morning the Los Angeles County Bicycle Coalition unveiled a list of questions they sent to all eight candidates for mayor — yes, there are four candidates you’ve probably never heard of, along with the four you probably have — and 40 candidates who qualified for the City Council ballot in the City of Los Angeles this morning. The questionnaires were developed primarily LACBC Planning and Policy Director Eric Bruins with input from the coalition’s Civic Engagement Committee. And range from questions about improving infrastructure and putting a stop to hit-and-runs, to what it would take to make the candidates feel comfortable riding on the streets of L.A.
As a 501(c)3 non-profit organization, the LACBC isn’t allowed to endorse or support any particular candidate, financially or otherwise. Instead, they’ve prepared these questionnaires to get candidates on the record for their support or opposition to local bike issues, so you can make an informed choice on who to support with your time, money and efforts. And more importantly, with your vote in the March 5th election. Frankly, I think you’re smart enough to make your own decisions, as long as you have the information you need. Which is why it’s up to you to make sure the candidates running for your vote complete the questionnaires. Ask them if they’ve answered it yet. And if not, demand that they do. 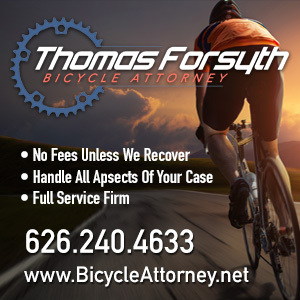 Because you deserve to know where they stand if they want your support, and the votes of the estimated 1.35 million people who ride a bike in L.A., as estimated in the current bike plan. And the countless others who’d like to if they felt safer doing it. On a related topic, the LACBC is hosting its first candidate forum for the L.A City Council District 11 on January 22nd, to replace retiring Councilmember Bill Rosendahl. The event, co-sponsored by LA Streetsblog, Los Angeles Walks and the Bikerowave takes place at St. Andrews West LA Church’s Nolte Hall, 11555 National Blvd, starting at 7 pm, with light refreshments to follow; so far, three of the four candidates on the ballot have agreed to participate. Of course, every election in every city council district matters. 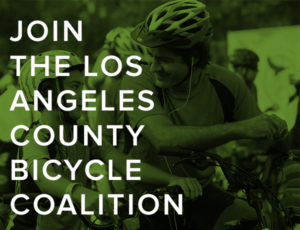 The only way to ensure that L.A. continues its remarkable progress in accommodating bikes is to elect candidates committed to continuing and expanding that progress. But this race may matter more than most, as Rosendahl has been the bicycling community’s biggest friend at City Hall for the past several years, and will be very missed. Especially if we don’t elect someone who supports bikes to replace him. The LACBC is also looking to host candidate forums in the other contested council districts before the March city election; if you’d like to get involved in organizing a forum in your district, email me at the address below. Finally, if you want to support the LACBC in ensuring the election of bicycle-friendly civic leaders, join the Civic Engagement Committee at 6:45 pm on Tuesday, January 29th at the Pitfire Pizza on Second and Main in Downtown L.A. You don’t have to be a member of the LACBC to participate; the meeting is open to anyone who lives, works or rides in L.A. Or wants to. 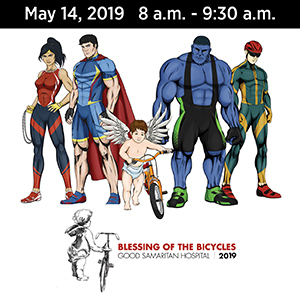 Email bikinginla at hotmail dot com to be added to the online discussion list.